TillSecure Systems are specialists in Hotel Locks in the UK. Providing the latest systems for Commercial and Hotel Guest Rooms. We have over 30 years experience in Support and Installation of Systems throughout Mainland UK, Ireland and the Channel Islands and always provide the highest level of service and support to our clients at all times. We offer a complete solution from Installation to ongoing support with both Emergency Call Out and Maintenance Contracts tailored to your individual requirements available at a competitive rate helping you save money on your budget. Feel free to browse the site. If you have comments or questions about our products or services or if you need more information please use the submission form on the CONTACT US page. efficient and have the expertise to carry out all tasks to the highest possible standards. Nothing is too much trouble, whether visiting the hotel at short notice, dispatching stock on the day of ordering or answering queries with clarity at all hours. During our recent annual service the TillSecure Engineer even found the time to fully explain the entire workings of the system to a new member of staff. The professionalism and workmanship shown from the original Demo, site survey and installation was second to none. The locks were delivered and installed at a time that suited us, with the minimum amount of disruption. Euro Hostel Glasgow is one of Scotland’s largest hostels catering to over 350 guests. Security and Door Locking Systems are a key factor for our business due to the volume of guests and the fact that multiple guests share bedrooms. We are delighted with the standard of service provided. Unlike our previous supplier, having access to support 24 hours per day is a massive benefit. The servicing of our equipment is excellent but in the unlikely event we experience any problems these are dealt with promptly either by telephone support or visits to the premises by a very experienced engineer. As a hotel GM, life can be challenging when you have a need to understand the technical side of Electronic Locks. From my first contact with TillSecure, the passage was a smooth and reassuring experience of calm expertise. They could not be more helpful in their approach and their patience with my lack of understanding was greatly appreciated. I am delighted to have found TillSecure and would not hesitate to recommend them to anyone. From start to finish TillSecure have provided fantastic service. They have been available to help at all times and answer any questions we had on the system, in an extremely professional and courteous manner. I would absolutely recommend them and if we require any locking solutions in the future will certainly be using TillSecure again. We had a new door lock system installed on all 58 hotel room doors at The Wiltshire early this year. The whole process from the initial enquiry phase has been uncomplicated and effortless. The service delivered to us has been fantastic. TSS visited our site to demonstrate the system in detail, and was able to answer all our questions – the success of the initial visit was the deciding factor for us. The system was installed over a period of two days, and during the installation period, time was set aside to ensure that all the Reception staff were fully trained. The technicians were happy to involve our Maintenance team. Every support call was dealt with immediately and efficiently. What has impressed me most about TSS is that we have always dealt with the same person and their after-sales support has been excellent. 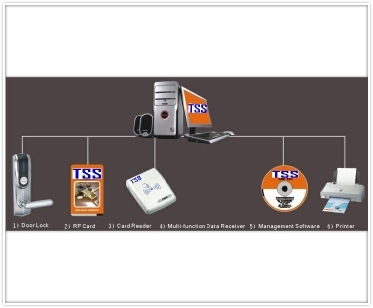 I have absolutely no hesitation in recommending TSS to any potential customer. The service that we have received from TSS has been fantastic. From the initial enquiry, to meeting and discussing our requirements and what TSS can offer, to full install and training, everything has been easy. Service has been friendly and efficient and it is reassuring to know that help is just at the end of the phone if you need it. Knowledgeable, fast, friendly and efficient, I wouldn’t have any hesitation to use TSS again – highly recommended.